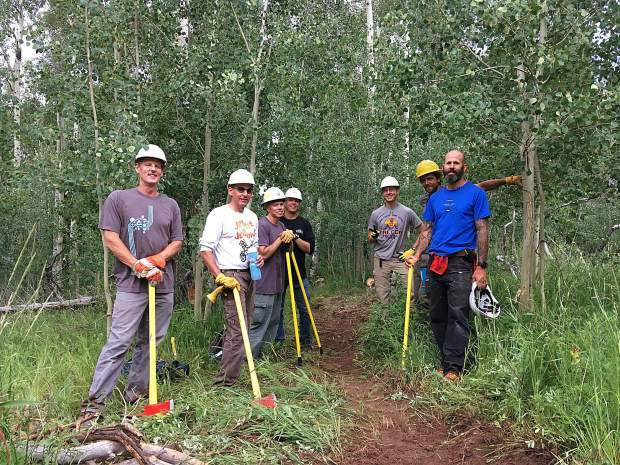 In 2017, 650 Adopt a Trail volunteers invested 2,210 total hours into the program. There are more than 500 nonprofits in Eagle County, and volunteering is a way to get involved in the community. Walking Mountains Science Center’s mission is to awaken a sense of wonder and inspire environmental stewardship and sustainability through natural science education. Visit www.walkingmountains.org/recycle to learn more about how to properly dispose of waste in Eagle County. Walking Mountains is a member of the Climate Action Collaborative for the Eagle County Community. According to a 2008 study published by the London School of Economics, individuals who volunteer more reported higher levels of health and happiness. When we talk about sustainability, we often mention the three P’s: people, planet and profit, or the three Es: environment, economy and social equity. 1. Volunteer. There are more than 500 nonprofits in Eagle County. Volunteering is a way everyone can get involved and give back to the local community as well as promote social sustainability. 2. Donate resources. Whether through food, clothes, monetary donations or otherwise, giving back is a great way to keep resources local while supporting community members and local organizations. 3. Talk about sustainability. Have discussions with your neighbors and community about sustainability and social issues. Identify the challenges and opportunities that you could address to make positive changes in your community.